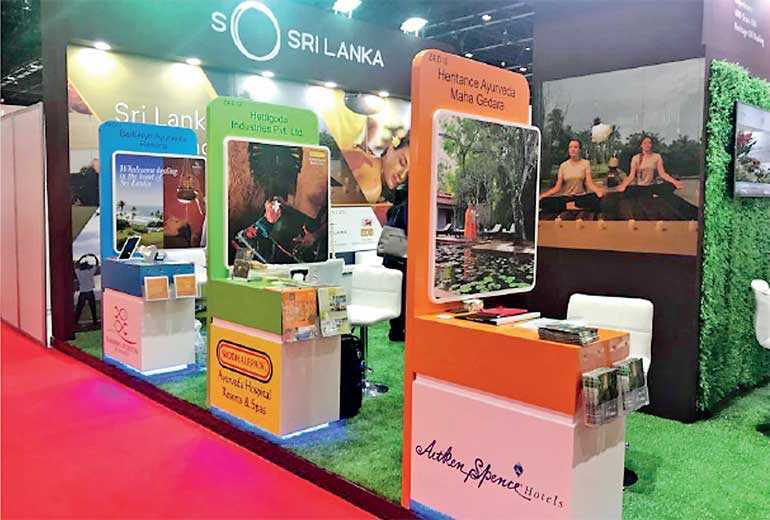 The Sri Lankan Wellness Tourism sector delegation has successfully concluded its participation at Arab Health Exhibition and Congress from 28-31 January 2019 by generating an average of 100-120 initial business contacts out of which 75 are potential conversions. All the companies have had successful business contacts with the travel agents and other relevant organisations. Most of the Arab clients have requested short holiday packages average for three-four days which will be cost effective and companies are in the process of designing the packages to the identified clients. 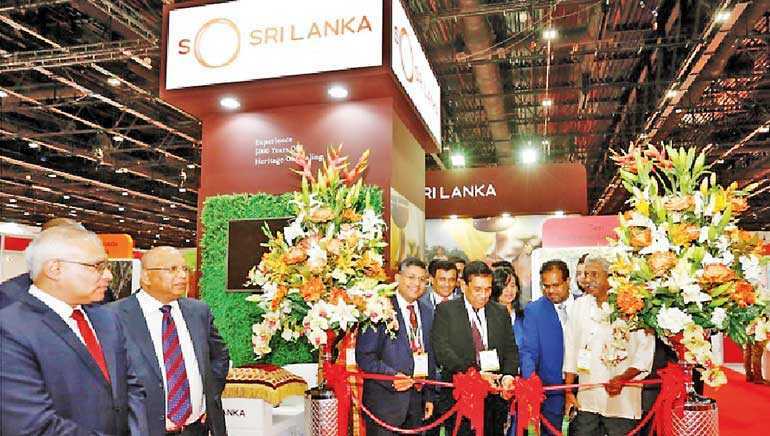 The delegation has showcased the best offerings of the Sri Lanka wellness tourism sector to the Arab clients and most of the travel agents and it was revealed that there is a huge potential for Sri Lanka to promote wellness tourism. Each company had conducted nearly 15-20 business meetings with potential clients, influential travel agents during the exhibition which could result in the future business developments of the companies. The new business contacts generated in this event with the potential agents would create the platform to increase business in the best interest of Sri Lanka wellness tourism. The main focus of organising this program was to introduce Sri Lanka wellness tourism offerings to the GCC countries as new service area and to build up business relationships between the two countries. In the previous year EDB organised specific events for the wellness tourism sector by inviting world renowned wellness tourism experts namely Dr. Franz Linser, Linser Hospitality, Austria and Stella Photi, Wellbeing Escape, London to evaluate the readiness of the individuals to cater/attract the wellness travellers from UK/ EU to Sri Lanka and conducted two industry seminars with the participation of over 100 participants each. On the recommendations given by these two experts; EDB is now taking the initiative of developing national brand for the Sri Lanka wellness tourism sector to position the sector internationally. Also, EDB has taken the lead role to establish Sri Lanka Wellness Tourism Association and its initial meeting was held with the representatives of the related companies. The EDB has identified wellness tourism as a focus sector in the National Export Strategy (NES) which aimed at global positioning of the sector by country branding and promotion in the key target markets including Middle East. This strategy seeks to make Sri Lanka the ‘preferred destination for wellbeing’ in the region. 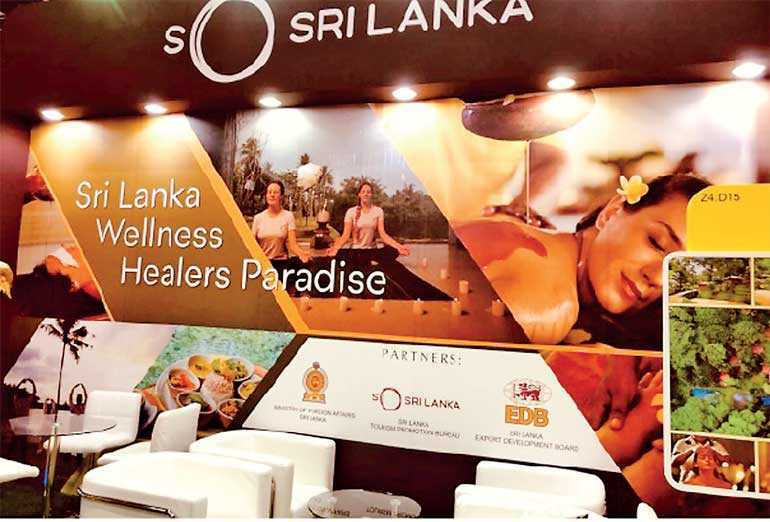 Considering the above strategic objectives, organising this event was a significant experience for the wellness tourism sector where the companies could witness that there is a huge potential for Sri Lanka wellness tourism sector in the market and the region. EDB is encouraging the Sri Lankan wellness tourism sector to achieve the overall national wellness tourism goals of reaching more foreign exchange revenue to the country. Therefore, EDB is planning to organise similar programs in other countries to explore business opportunities for the Sri Lankan wellness tourism sector along with the Sri Lanka Tourism Promotion Bureau, Ministry of Foreign Affairs in the future as well.